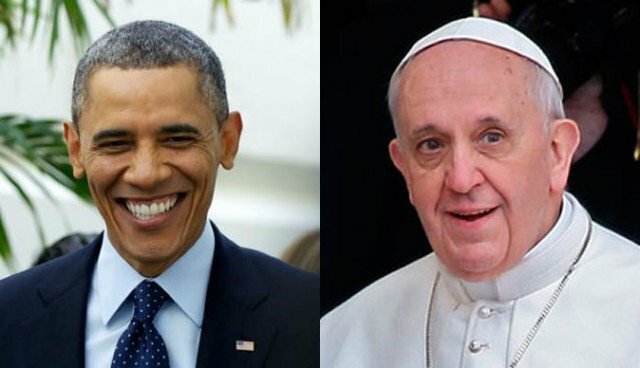 President Barack Obama will visit Pope Francis on a European tour in March, the White House has announced. The White House said Barack Obama looked forward to discussing their “shared commitment to fighting poverty and growing inequality”. While in Rome, Barack Obama will meet Italian President Giorgio Napolitano and PM Enrico Letta. Barack Obama will visit the Netherlands for a nuclear security summit, and will meet NATO and Belgian officials in Belgium. Among those Barack Obama is scheduled to meet is Secretary General Anders Fogh Rasmussen, the White House said. The president’s visit to Belgium will include his first official trip to two EU institutions – the European Council and the European Commission. Barack Obama quoted Pope Francis in a speech about income inequality on December. The March visit will be the first meeting between the two men.